In the southern part of the Valencian Community lies the Costa Blanca, one of the most beautiful coasts of the Mediterranean, which waters border the entire coast of the province of Alicante. 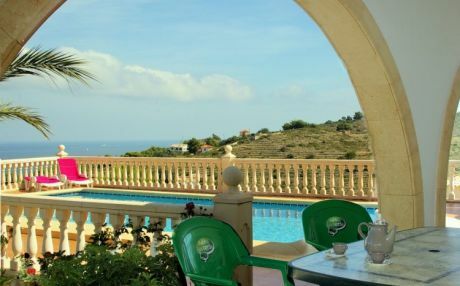 The Costa Blanca features a beautiful contrast between sea and mountains that make it one of the most attractive tourist destinations in Spain. The spectacular landscapes of the Costa Blanca are the main attraction for its visitors. Knowing this beautiful coastline closely means going into valleys such as the Vall d'Ebo, Vall d'Alcala, Vall de Gallinera, Gata de Gorgo or Vall de Laguart. Its mountain areas are a refuge for those who are passionate about hiking or caving. The Costa Blanca is also noted for its traditional crafts, castles, historical monuments and museums. 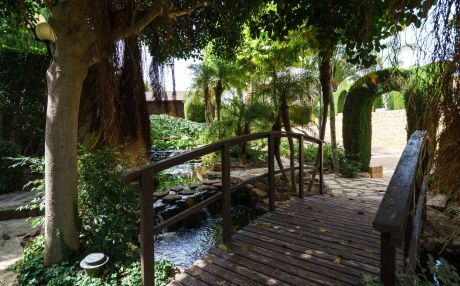 In this sense, it is imperative to visit Elche and its Arab baths of the XII century, Denia with its medieval castle, which was the summer resort of Ernest Hemingway in the 30s. Calpe with its Iberian, Phoenician and Roman past; Benissa with its Lonja of the Constitution of the XV century; Aad of course, the capital, Alicante, with the medieval castle of Santa Barbara. Neither can we forget about Jávea or Altea. Sport is very present throughout the Costa Blanca. On its fabulous white sand beaches you can practice a wide variety of water sports, as well as beach volleyball or beach soccer. While in the rural and mountain areas, mountain races, climbing, walking, mountain biking or adventure raiding are common. 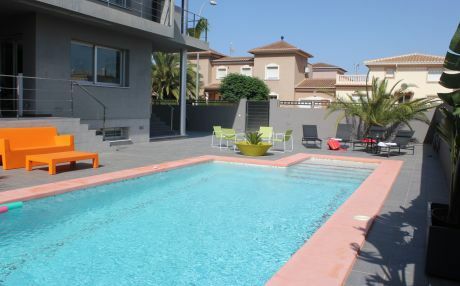 Restaurants, bars and cafes abound all over the Costa Blanca for those who enjoy the day and the sun. The Costa Blanca runs through 244 km. of wonderful beaches and coves, some hidden among cliffs, which are visited by thousands of tourists throughout the year. It is a family destination par excellence, perfect to enjoy its natural ecosystem and its places of rest, but also its cultural, historical and gastronomic richness. La Granadella (Javea): This shallow water and semiurban beach of rock and gravel is sheltered by a lush pine forest and boasts of having waters with dreamy blue tones. La Caleta (Villajoyosa): This beach is perfect for lovers of tranquility and who wish to get away from the hustle and bustle. With clear waters, La Caleta is located at the foot of cliffs, which has helped to preserve its almost unspoiled state. La playa de Tabarca (Santa Pola): located on the island of the same name, this sand and gravel beach is far from the crowds and can only be accessed by boat, which has become an ideal refuge for the most demanding ones. La Fossa (Calpe): this is the beach par excellence of the Costa Blanca, since from it we can contemplate its most characteristic symbol: el peñón de Ifach. The beach of La Fossa is located in a bay sheltered between cliffs. It is characterized by its golden sand, its calm and translucent waters, as well as its beautiful promenade from which we can contemplate the wonderful views of the area. Marineta Casiana (Denia): featuring calm and shallow waters, this beach is ideal for going with the family. In addition, it is highly recommended for lovers of water sports. Its promenade runs along much of the coast of Denia. 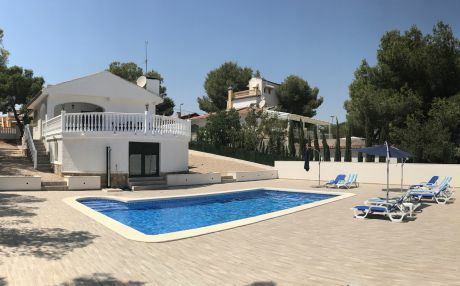 To travel to the Costa Blanca, whether in a group or family, it is best to rent a villa with a private pool or a house or chalet where you can enjoy the comforts and freedom of an independent house. 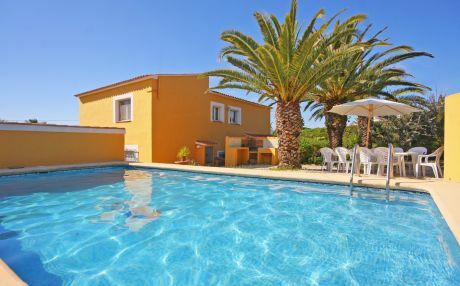 The residential areas abound, and for this reason you will find a great variety of holiday homes and chalets in the Costa Blanca. 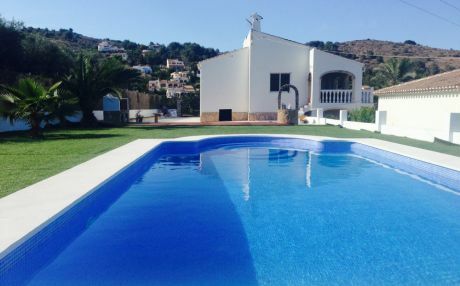 If you are planning your next getaway, on our website we have a great selection of villas on the Costa Blanca to make the holidays a memorable experience for the whole family.